South Sudan – Patrick F. Clarkin, Ph.D. 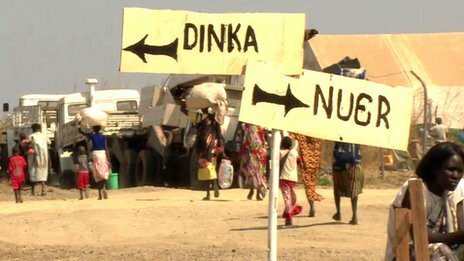 This photo from a BBC report on the ongoing fighting in South Sudan made its rounds on the internet today, showing refugees being segregated by ethnicity at a UN compound. As of last month, an estimated 93,000 people had been displaced by the conflict, indicating the scale of the crisis (source: reliefweb).